Wesley Snipes was in San Diego for Comic-Con this past weekend promoting his new show The Player on NBC but there was on question everyone had: Is Blade coming back? 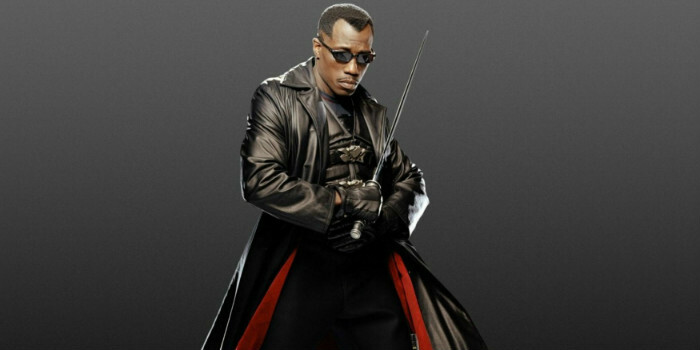 Snipes famously portrayed the day-walking vampire for a trio of films in the ‘90s and early 2000s and with the hotness of comic book movies in the past few years, Snipes is getting bombarded with Blade 4 questions. As far as joining the Marvel Cinematic Universe as another character? Snipes is also in Spike Lee’s upcoming film, Chiraq, which also stars Common, Jennifer Hudson, and John Cusack.